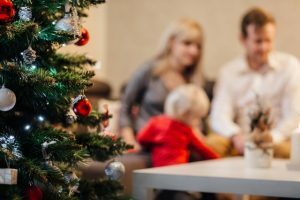 In the closet, under the bed, and behind furniture are some of the first places a burglar (or your kids) will look for valuable Christmas gifts. Consider renting a lockbox or storage unit to keep your gifts in until Christmas Eve. If that’s not an option, store your gifts in an old cardboard box in the basement, attic, or garage instead of in shiny, appealing paper in the closet.